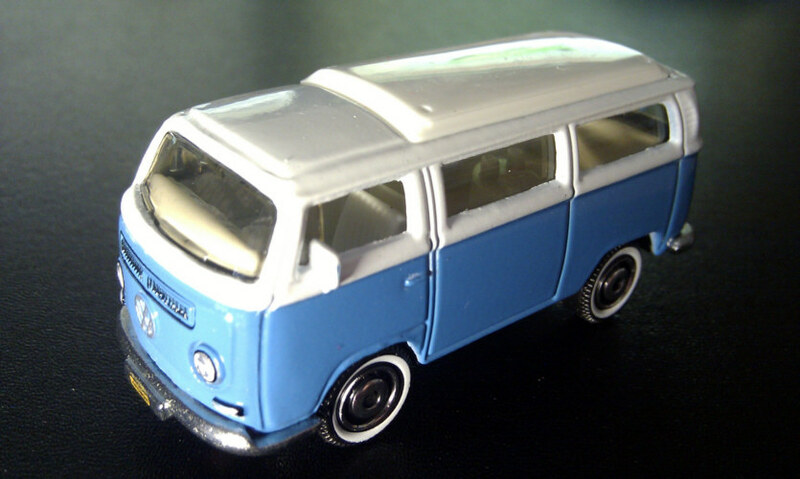 Matchbox 1970 Volkswagen Kombi Van Type 2 T2a "DHARMA Van"
The DHARMA vans were several Volkswagen Type 2 vans from the Motor Pool that the DHARMA Initiative used to transport people and supplies around the Island. Scale is 1:59. 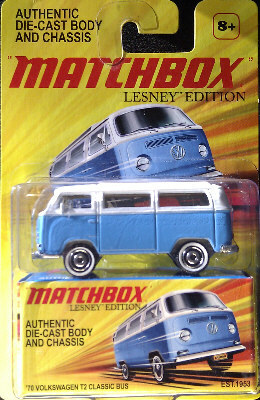 Hurley discovers an abandoned van in the jungle, he makes it his mission to get it going again. Jin and Sawyer in front of the DHARMA van. Hurley driving the re-activated DHARMA van. A congregation of DHARMA vans on the Island.